The awesome folks at Celebrity wrote us to share some great news with you about a cruise onboard Celebrity Xpedition, Celebrity's mega-yacht sailing the Galapagos Islands year-round. Recently, our guests onboard Celebrity Xpedition were part of the major Ecuadorian national effort to break a world record along with tens-of-thousands. 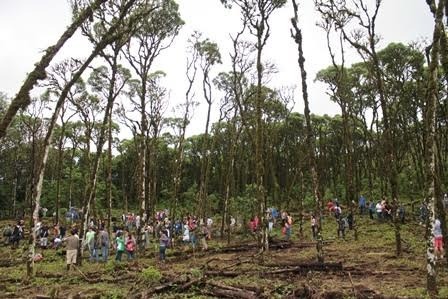 Led by the Ministry of Environment, in conjunction with the Galapagos National Park, the nation set out to break the world's reforestation record by encouraging thousands to plant more than 647,000 trees in one day. Celebrity guests and dedicated crew, already involved in Celebrity Xpedition's newly introduced, immersive Scalesia tree reforestation shore excursion project, were able to contribute to the country's major feat. The Celebrity Cruises Scalesia-saving project is the first-of-its-kind experience conducted by a cruise line in collaboration with the Galapagos National Park, and you can find out more about the project in the attached 2014 release. 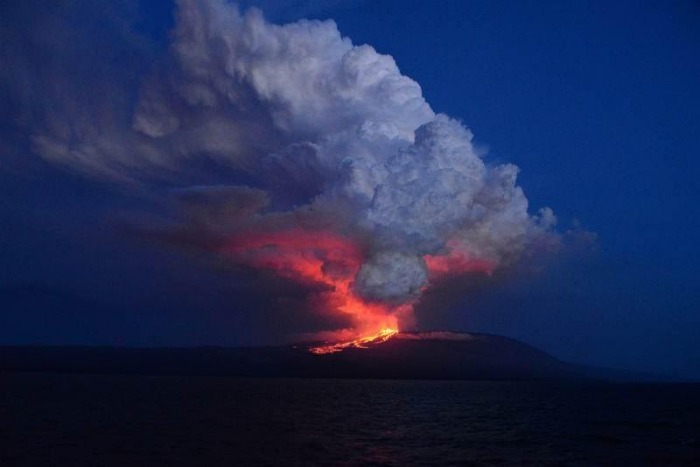 In addition, another group of Celebrity Xpedition vacationers also had "front-row seats" to the eruption of Volcán Wolf, off the northern end of Isabela Island.